Zoetis is the leading animal health company, dedicated to suppporting its customers and their businesses. Building on a 60-year history as the animal health business of Pfizer, Zoetis discovers, develops, manufactures and markets veterinary vaccines and medicines, complemented by diagnostic products and genetic tests and supported by a range of services. In 2012, the company generated annual revenues of $4.3 billion. With approximately 9,300 employees worldwide at the beginning of 2013, Zoetis has a local presence in approximately 70 countries, including 29 manufacturing facilties in 11 countries. Its products serve veterinarians, livestock producers and people who raise and care for farm and companion animals in 120 countries. The advancement of companion animal welfare. The creation of globally relevant ‘Standardization Guidelines’ in key areas of veterinary care. Increasing understanding of the importance of companion animals in the One Health movement. Much of our work is delivered through our hard-working Clinical Committees and we are grateful to our committee members, all volunteers and experts in their field from around the world, who work together to develop WSAVA Global Guidelines, information, tools and other educational resources to support companion animal veterinarians. They also campaign on key issues to veterinarians globally, such as animal welfare, professional wellness and equitable access to veterinary therapeutics. Circa Healthcare specializes in strategic healthcare advertising and communications. Over 99% of cases of human rabies are caused by an infected dog bite. Once symptoms of the disease develop, it is always fatal. Every year, millions of healthy dogs are inhumanely killed for fear of this deadly disease. However, this doesn’t halt the spread of rabies, which causes the deaths of around 61,000 people a year – the majority of which are children under 15. Vaccinating dogs against rabies has been proven to stop the spread of the disease to people and saves the lives of humans and dogs. Our aim is to eliminate rabies from the world by 2030. VetFolio’s mission is to do its part to elevate the quality of animal medical care throughout the world by providing online continuing education and resources for the entire veterinary community, anytime, anywhere. VetFolio is a one-stop resource for online continuing education,offering access to hundreds of hours of CE Courses. It is a platform for both personal and professional advancement, providing the most comprehensive continuing education in the industry. In addition to a robust CE course catalog, subscribers receive access to conference proceedings, Resource Centers, a popular Surgery Video Library and a Podcast Library. The World Organisation for Animal Health (OIE) is the intergovernmental organisation responsible for improving animal health worldwide. The OIE is recognised as a reference organisation by the World Trade Organization (WTO) and in 2013 had a total of 178 Member Countries. The OIE maintains permanent relations with 45 other international and regional organisations and has Regional and sub-regional Offices on every continent. 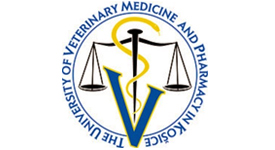 The University of Veterinary Medicine and Pharmacy in Košice is the only institution in the Slovak Republic offering higher education in the veterinary field. Vetstream provides peer reviewed point of care information from more than 900 of the world’s leading veterinary clinicians on its Canis, Felis, Lapis and Equis information services – featuring more than 19,000 articles, images, videos and sounds covering diseases, diagnostic and surgical techniques plus details on breeds, bacteria, viruses and parasites. These services are available on all internet enabled devices and the information is updated weekly so veterinary practices will be able to access the most current clinical information in their practices. Worldwide Veterinary Service is a veterinary charity supporting animal charities and non-profit organisations all over the world. 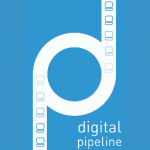 Digital Pipeline is an independent UK registered charity operating as a social enterprise. It was founded in 2004 by Microsoft and supported directly by Bill Gates. Since then it has evolved into a leading technology charity, providing hundreds of thousands of PCs to Africa and other developing countries worldwide. They aim to advance the education of the public and relieve poverty by providing access to information and communications technology for those who most need it, with a focus on developing countries throughout Africa and other parts of the world. They also aim to promote the conservation, protection and improvement of the physical and natural environment by facilitating the re-use of ICT equipment through our computer refurbishment programmes. They achieve these aims through their member partners who refurbish, redeploy and recycle IT equipment on behalf of organisations wishing to provide computers for education and community groups.